After looking through all the samples (BB creams, eyeliners, sleeping packs, powders etc. ), I judged this to be in the best condition. It looked hardly used and it worked well with my skin tone when I tried it so I purchased it! I like this line of tints because it's more gel-like than the watery tints which dry really quickly. You get some time to work with this formula. Even after dabbing it in the inner parts of your lips, you still have time to wipe the colour from your fingers to a piece of tissue so it doesn't stain your fingers. I think this colour is really pretty! 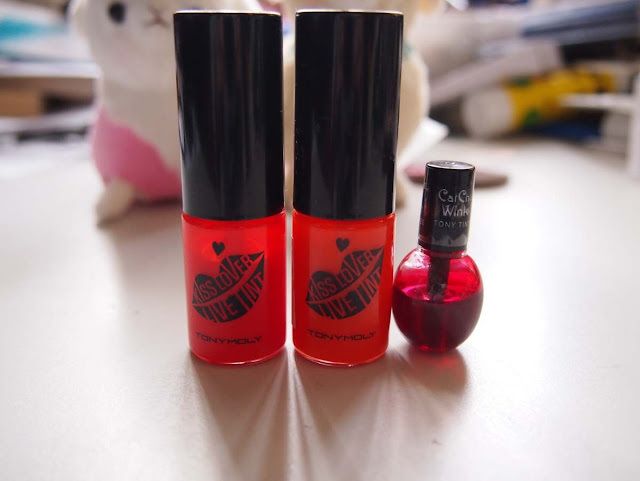 I like it a lot~ I used to use orange lip glosses and I think I will start up again soon. The scent isn't anything too spectacular; it doesn't really smell much of oranges. Just an artificial sweet scent and a tad bitter if you lick it. 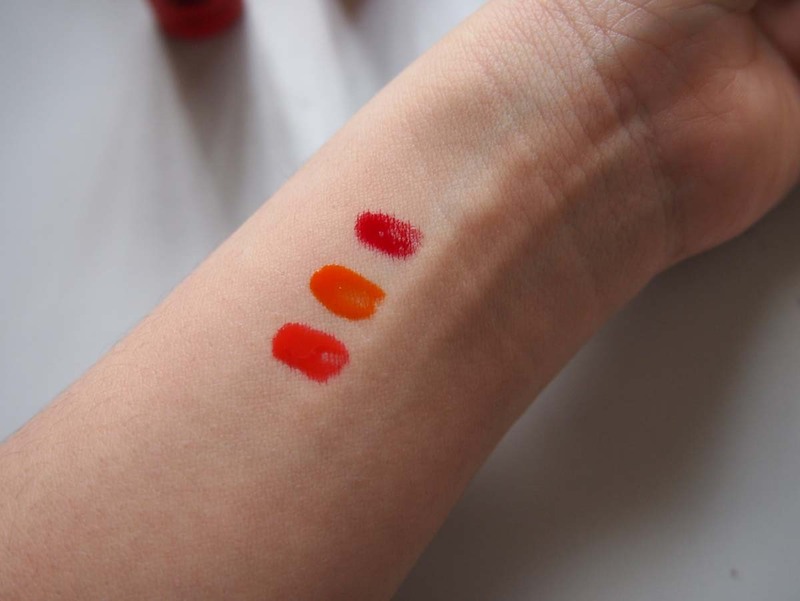 TL;DR: Another pretty tint from Tony Moly. I couldn't justify forking out the full $14 for this colour on the spot, but I like it enough to go home and think about it. 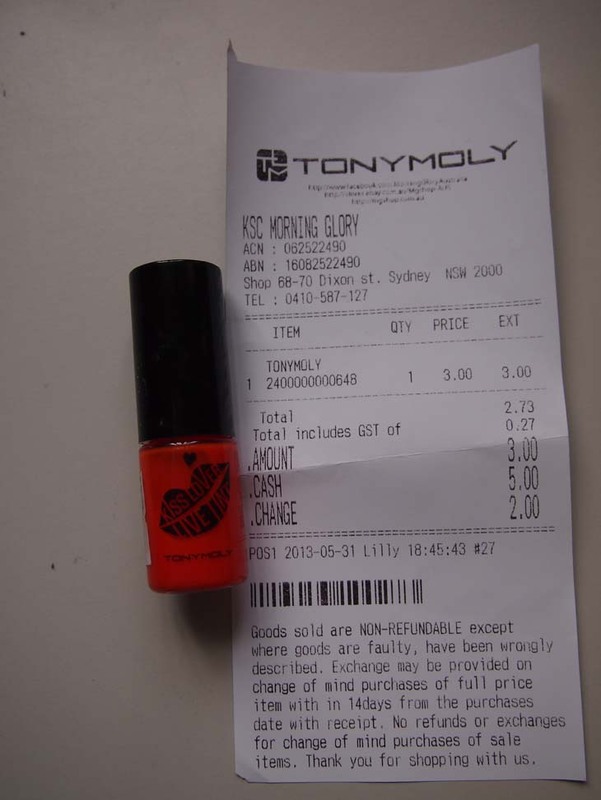 Hi there- how were the prices at Tony Moly Market City? Did they have free samples? Some items at Market City were a lot cheaper than the Morning Glory prices (especially the one at China Town), but then there were some items at China Town that were a lot cheaper than Market City. From memory, the Crystal Blusher was around $8 at Market City and around $14 at Morning Glory. You can always check before you buy since both these branches are literally a street away from each other. If not, try the products in store and buy online.